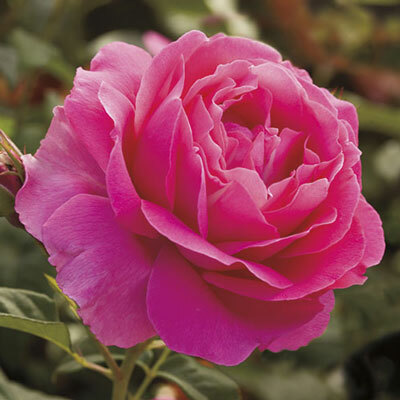 Here's a clean mean flowering machine whose big bountiful beauties reek with old rose romance, style & fragrance. Each lovely blossom invites you to bury your nose…to swoon from the perfume of the 'old time' roses of your dreams. A big vigorous 'shrubby' bush whose nodding clusters, abundant deep-green leaves & low-thorned cutting stems provide a perfect touch to a landscape or bouquet. A modern antique for all climates. A modern antique for all climates. Plant Height 5¼' to 5' 11"